I strongly believe that SEO copywriting should not appear (on the surface) any different then non-SEO copywriting. In fact, it should be more informative, more focused, and easier to read then most copywriting. After all, Google wants to rank websites that people will value. Copy that is stuffed with keywords is usually unpleasant to read and Google does its best to weed out content that doesn’t provide a good user experience. The trick is to implement phrases and words into your copy that support your keyword focus. And increasingly, “keyword focus” is simply a synonym for “intention targeting.” You want to focus on the intention of users who are searching Google for content like yours. You want to make sure that your web copy answers their questions. Search engines are basically question-and-answer machines. People type questions into Google and Google serves up answers in the form of web pages. For a search engine, every web page is simply a potential answer to hundreds (or millions) of highly-related questions. As an SEO copywriter, you should always think about what questions your page answers. I won’t go into keyword research too much in this article (I’ve written about it here) but the general idea is to find a single keyword phrase to focus on for each page you compose. Just make sure the phrase you choose is searched for on a regular basis. Google’s keyword planner will let you know how many times any given phrase is searched for on a monthly basis. Now before you start placing your chosen keyword all over your page, it’s important to think of the “intent” behind the keyword phrase. If your chosen keyword is “Portland real estate brokers” you’re basically trying to answer the question, “where can I find a great real estate broker in Portland, OR.” The most important thing is that your copy answers that question as thoroughly as possible. Stuffing keywords in your copy won’t do anything if your copy doesn’t answer the users query. There are often many ways to ask the same question in Google. For instance, if your keyword is “Black Adidas Running Shoes” the intent of the question is most likely, “Where can I find Adidas running shoes in black?” There’s quite a few common ways to type that query into Google. For the most part, Google understands that all these queries represent a similar intent. Increasingly, Google understands pages less in terms of keywords and more in terms of topics. So, as an SEO copywriter you can increase the likelihood that Google ranks your pages higher by including your keyword phrase in multiple formats. Of course, it will benefit you to put your emphasis on the phrase that gets the most monthly searches, but including variations will help. You can do this by putting your main keyword phrase in the most important and prominent sections on your page and peppering variations throughout the body copy. Once you have determined your focus keyword phrase, it’s important to include that phrase (and it’s variations) in your website copy. But don’t over do it. It’s advisable to only include your exact matching keyword phrase once or twice on the page. Using your focus phrase more than twice can look like keyword stuffing. That being said, don’t intentionally limit use of your keyword just for SEO purposes. Make sure to serve your visitors first and Google second. Here are the places and ways you should insert your keyword phrase and variations (in order of importance). The meta description is the descriptive text that follows the title in search results. The meta description does not appear on the page either. The meta description does not affect search rankings, but when you include your focus keyword in the meta description it will get bolded when people search for that particular keyword phrase–and therefore make your search result stand out more. More info on writing meta descriptions. Headers are the most important on-page SEO element for a web page. Headers are often denoted as H1, H2, H3, H4, H5. H1 is usually the main page header and should only appear once on a page. It is also usually the largest text on the page. Therefore, Google understands that the H1 element should be a high-level description of what your page is about. That’s why it’s very valuable to use your keyword in the h1. H2s and H3s are usually used to separate different sections of information on the page, and they will communicate to Google the depth to which your page answers queries. Bold and italic words, when not used excessively, communicate emphasis. When you emphasize keyword phrases in your text, you are telling Google that these phrases are more important than other words on the page. Google loves links. When you use in-paragraph links to send your site visitors to other relevant pages on your site, you help both Google and the end-user understand the flow of information on your website. While images are not always the domain of the copywriter, it’s important to know that images play a big part in SEO. The file name, alt tag, and title tag can all convey keyword information to Google. When naming an image file, always use dashes between words. Avoid abbreviations, unless the abbreviation is part of your keyword phrase. Check out this article on optimizing images for SEO for more info. When you optimize your pages to answer questions, that means that people may be encountering a website for the first time on a landing page–not the homepage. What does this mean for copywriters? It means you need make sure that your page copy makes sense to a complete stranger who’s never been to the site. In a sense you should treat every page as a potential introduction to the website and the business it supports. Some pages just don’t make sense as a landing page and therefore don’t require an SEO focus. Examples include pages that exist behind a secure login, and pages that are part of an ordered series–such as signup pages. While the first page in a series may be a good landing page, the 4rth or 10th page in a series could be a confusing place to land. With pages like this, you should request that your webmaster exclude these pages from search results. But be careful not to exclude pages just because you think they won’t be useful as a landing page–your users may think differently. Google likes copy. If your page has less than 250 words Google may just ignore it. I recommend using at least 500 words on any page with an SEO focus. Not only will this help your rankings, it should give your website visitors more to sink their teeth into. It’s also important to utilize best practices for readability and comprehension. Google knows when users hit the back button–so it’s vital to keep users engaged by using common copy writing conventions that are used on the web. Vary sentence and paragraph length. Single sentence paragraphs are great for emphasis. 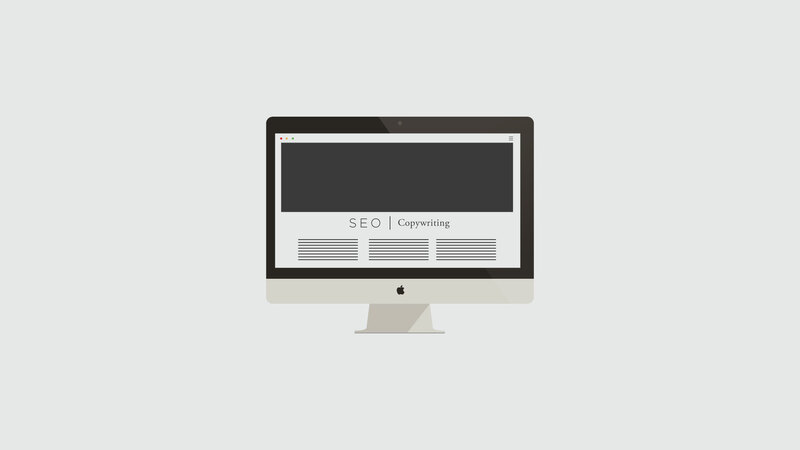 What are your SEO copywriting best practices? Let us know in the comments below!